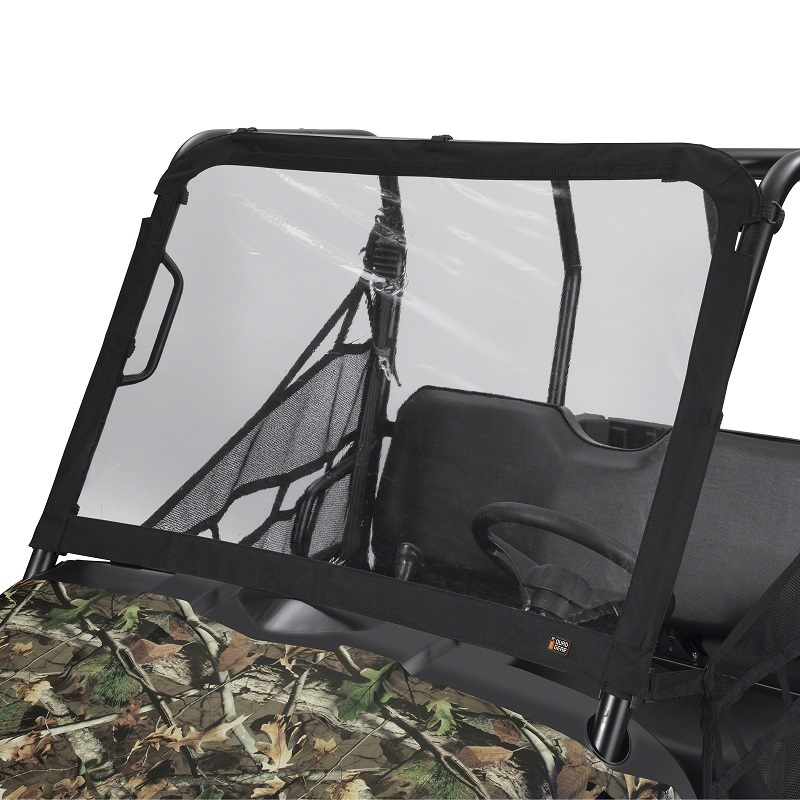 Protect your UTV side by side and its passengers from heavy rain, snow, hail, and flying debris with a new aftermarket or replacement ultra-clear windshield for the Polaris® Ranger 400, 570, 800, EV, 500-570 Crew on sale here at the best possible online discount prices. 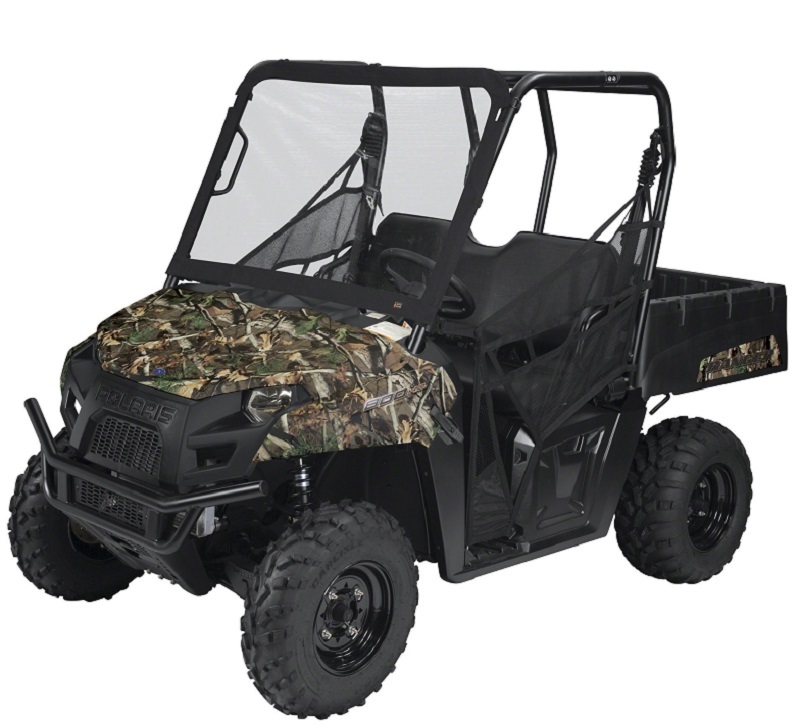 Polaris Ranger windshield instantly shields Polaris 400, 570, 800, EV, and 500-570 Crew UTVs against wind and rain. Attaches quickly to the roll cage with cinch-tight straps & rip-n-grip closure tabs, rolls up for easy storage, framed by heavy duty ProtekX6 fabric, no tools necessary. The Polaris Ranger plastic windshields we have for sale provide protection against wind, rain and snow and are on sale here at the best possible cheap discount online sales price.